I'm so happy that you stopped by to learn a little bit more about my work with fathers and daughters. I have videos, a weekly blog, and even free resources (and who doesn't like free, eh?! ), all designed to support you in reaching your relationship goals, whether you are a daughter or a dad. To start off, here’s a little bit about me: I have a clinical counseling practice in Portland, Oregon, and have served in that role for the past 20 years. I have also had the privilege being up close and personal to girls in their teens and 20’s over the past 35+ years in such roles as camp counselor, mentor, teacher, speaker, and mental health therapist. With that background, coupled with the fact that I am the oldest of four girls, I guess you could say that I have a fairly thorough working knowledge of life on Venus (Reference: "Men are from Mars, Women are from Venus" by John Gray, Ph.D.). It truly is my joy and privilege to have you join me here today as I long to share my passion with you---which is to equip dads to become the heroes they want to be and the heroes their daughters need them to be. 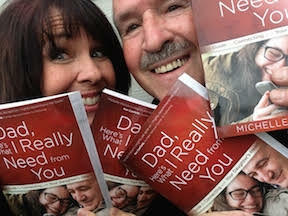 If you'd like to know what I'm most excited about these days, the first includes hosting a radio program called The Dad Whisperer (which heralds from my hometown of Portland, Oregon and is also available on iTunes), as well as the release of my first book entitled, "Dad, Here's What I Really Need From You: A Guide for Connecting with Your Daughter's Heart. In the video below, I'll give you a brief overview of the book, and tell you why I believe it's a must-have for any father wanting to become an even more dialed-in dad. I realize that some of you may wonder why I’m speaking to men about this issue rather than letting men cover that base, man to man. The short answer is that as a girl (more specifically, a “Venusian”—which is a phrase I am using based on the book Men are From Mars, Women are From Venus) I am seeking to help you decode your daughter. I know a bit about what life is like on “our planet” and I want to teach you some of the secrets of how we as women are wired. I know that your daughter didn’t come with a playbook, but I'm going to help you write one. With a listening ear, a heart turned towards your daughter, and a few tools in your toolbox, you’ll succeed in being the best dad you can be. 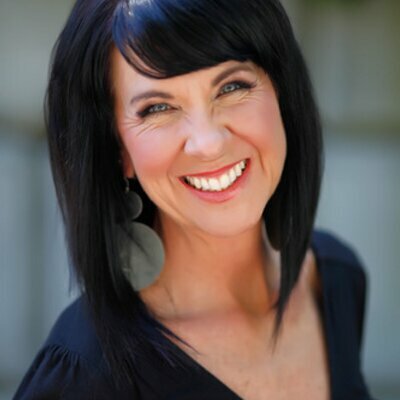 Whether I'm leading The Abba Project (for dads of teenage and 20-something daughters), sharing insights in my book, speaking at fathering conferences, or equipping dads with more fathering tools on my radio program, these two questions are particularly important when it comes to me, as a woman, leading conversations with men. In other words, even more important than the letters after someone's name are the issues of rapport, connection, and competence. And what I've experienced over the years is that as dads discover that I'm their ally, the more they listen and trust that I really am championing them in their quest to be great dads. The bottom line is that I love teenage and 20-something girls and it truly is my great honor and privilege to be invited to walk alongside dads of these girls and to interface with teaching them how to love their daughters even better than they have before. I have deep respect for dads who do whatever it takes to pursue their daughter's hearts and I am honored to be invited into their lives. Dads who join me in this venture are courageous, amazing men who want to further refine their role. These dads are my heroes! Will you be next to join us as we change the tide in America by equipping dads to be even more interactive and intentional with their daughters?